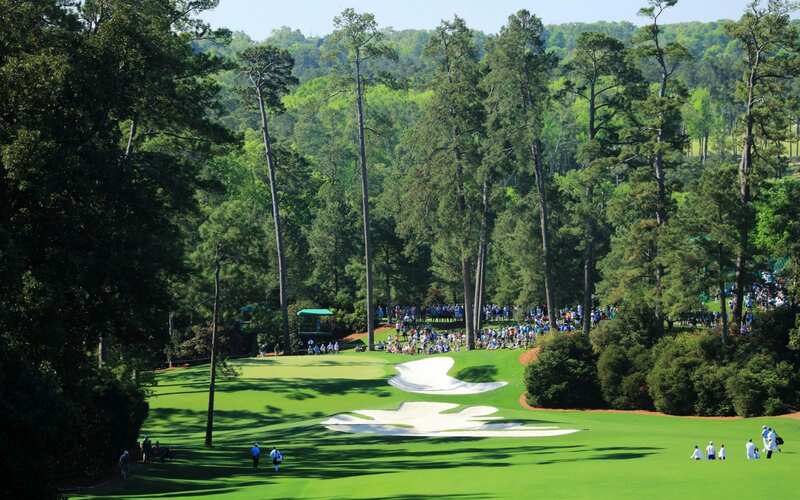 The Masters has finished on a Monday just five times, most recently in 1983 when Seve Ballesteros won his second green jacket. He turned in a bogey-free round that includes six birdies and an eagle at No. 8, giving him a one-stroke lead when he left the course. With the forecast calling for heavy rain and thunderstorms late on Sunday officials have made a decision to send golfers off in threesomes from both the first and 10th tees rather than traditional pairs in an attempt to get the final round completed and avoid a Monday finish to the year's first major. When he mounted the 18th tee here 28 years ago, he picked out his Persimmon driver and smashed his tee-shot clean over the left-hand bunker.